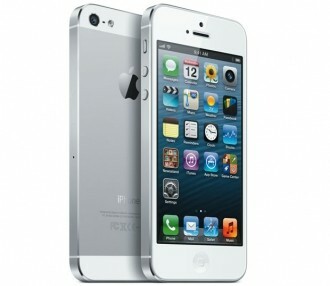 Apple managed to sell over five million new iPhone 5 handsets during the first weekend of availability, topping the 4S’ record from last year by one million units. The phone launched in the US, Canada, Australia, France, Germany, Hong Kong, Japan, Singapore and the UK on September 21. Furthermore, over 100 million devices have already been updated with the recently release iOS 6. Reports suggest Cupertino’s initial stockpile of iPhone 5 handsets sold out within one hour of being made available for pre-order. Apple’s website currently shows the handset is on backorder for 3-4 weeks regardless of color, capacity or carrier. Users interested in the new Apple phone might have better luck shopping through their respective carrier, at a local Apple store or through third party auction sites like eBay. Recently completed listings reveal the 16GB base model is selling for around $800 on average. Demand for the iPhone 5 isn’t expected to slow down anytime soon. J.P. Morgan analyst Katy Huberty expects sales to hit 25 million for the quarter ending this month. The holiday season could see total iPhone 5 sales hit the 50 million mark and if things continue to do well next year, Apple could move 200 million iPhones in 2013. The iPhone 5 will be released in 22 more countries on September 28 and will ultimately be offered in more than 100 countries by the end of the year. Interestingly enough, stock prices are down roughly 1.3 percent following the weekend sales announcement.